Chinese smartphone maker Xiaomi is all set to launch its budget Redmi 6 series devices in China on June 12. The Redmi 6 series was leaked earlier after it was spotted on TENAA. Three models, with the model numbers M1804C3CC, M1804C3DE and M1804C3CE were previously leaked. 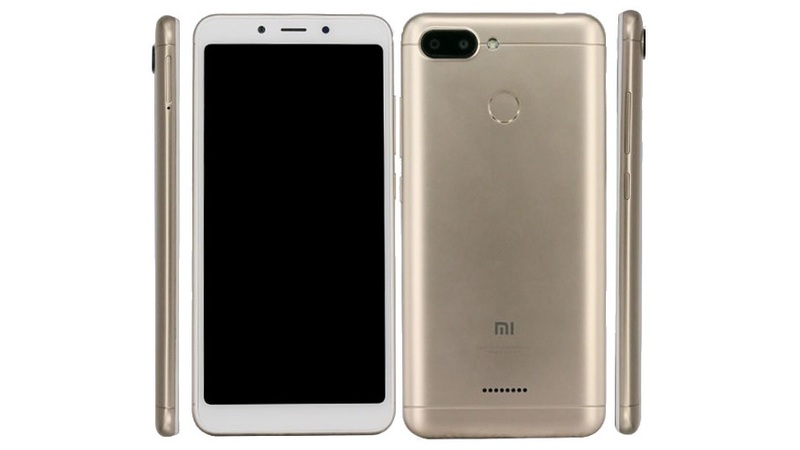 Among the three models, the M1804C3DE is expected to be the Redmi 6 as it features a dual camera setup and a fingerprint sensor and the other model is expected to be the Redmi 6A. Xiaomi has now posted a teaser on Chinese social networking site Weibo mentioning that it will be hosting an event on June 12 to launch the Redmi 6. At this event, the company is also expected to launch the Redmi 6A and the Redmi 6 Pro. Due to TENAA certifications, we already know the specifications of the Redmi 6 and Redmi 6A. The Xiaomi Redmi 6 will run on Android 8.1 Oreo with MIUI 9 skinned on top and will probably get MIUI 10 update soon after the launch. It will feature a 5.45-inch HD+ 2.5D curved glass display with a resolution of 1440 x 720 pixels and an aspect ratio of 18:9. In terms of performance, the Xiaomi Redmi 6 will be powered by octa core SoC clocked at 2GHz, which could be Xiaomi’s frequently used Snapdragon 625 SoC coupled with Adreno 506 GPU. In terms of memory, the device will be available in three variants – 2GB RAM + 16GB internal storage, 3GB RAM + 32GB internal storage and 4GB RAM + 64GB internal storage. Coming to the optics, the Redmi 6 will feature a dual camera setup at the back consisting of a 12MP primary camera and a secondary camera assisted by an LED flash. On the front, the device will sport a 5MP selfie camera. The Xiaomi Redmi 6 will be powered by a 3,000mAh battery and connectivity options on the device will include 4G VoLTE, Wi-Fi 802.11 b/g/n, FM Radio, 3.5mm audio, Bluetooth 4.2 and GPS. Just like the Redmi 6, the Redmi 6A will also run on Android 8.1 Oreo out-of-the box with MIUI 9 skinned on top and may be upgraded to MIUI 10 soon after the launch. It will feature a similar 5.45-inch HD+ 2.5D curved glass display with a resolution of 1440 x 720 pixels and an aspect ratio of 18:9. In terms of performance, the Xiaomi Redmi 6A will be powered by a 2GHz quad core SoC and it will be available in two variants – 2GB RAM + 16GB internal storage and 3GB RAM + 32GB internal storage. The internal storage will be further expandable up to 128GB via a microSD card. Coming to the optics, the Xiaomi Redmi 6A will feature a 12MP primary camera with an LED flash. On the front, the device will sport a 5MP selfie camera with f/2.0 aperture and an LED flash for low light selfies. 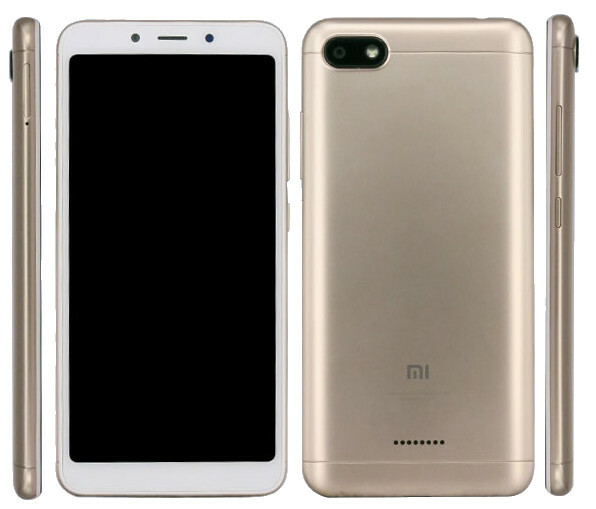 The Xiaomi Redmi 6A will be powered by a 3,000mAh battery and connectivity options on the device will include 4G VoLTE, Wi-Fi 802.11 b/g/n, Bluetooth 4.2, GPS, 3.5mm audio jack and FM Radio.